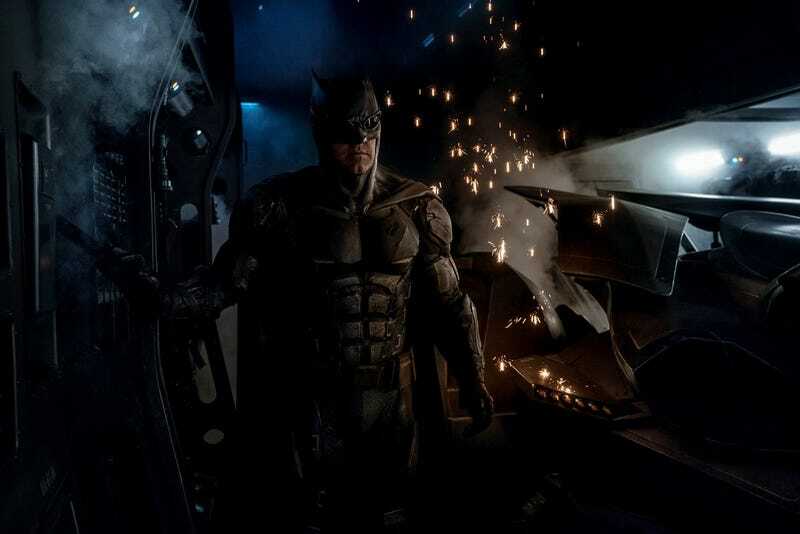 Zack Snyder tweeted an image of what he called “the new Tactical Batsuit.” Love the goggles, Batman. The suit was being used in filming a few months ago when io9 visited the set, but according to this tweet, it’s done now. I’ve got to say, I think it’s pretty good-looking. Better than the Batman v. Superman suit. Or the armored one with the stubby ears. And definitely better than the weird dream one with the trench coat. Man, I’m just realizing how many suits he had in that movie.